Which are America’s most crowded national parks? Less crowded national parks? Can widely-publicized lists be trusted? Based on my visits, I have a good idea, but you don’t have to take my word for it. In my former career, I dealt with numbers quite a bit, and here I pull out precise answers by careful use of the NPS data. The National Park Service makes available a lot of visitor use statistics. Of all of them, the list of national parks ranked by the annual number of recreation visits is the one that has captured the attention of media and bloggers. While it is only a measure of popularity, it has been used to determine the “top” (best) national parks, and more relevant to this article, the more and less crowded national parks. The numbers for the top and bottom 15 are tabulated below (full data) with the twist that instead of using only last year’s figures like everybody else, I have instead used the average over the last ten years (like I did in Treasured Lands). I am more interested in statistics of lasting value as opposed to snapshots in time, and the average is more immune to variations caused by exceptional events such as the summer of 2017 wildfires in Yosemite National Park that caused visitation to drop from a 5,028,868 high in 2016 to 4,336,890 in 2017, while most other parks saw their visitation continue to increase. 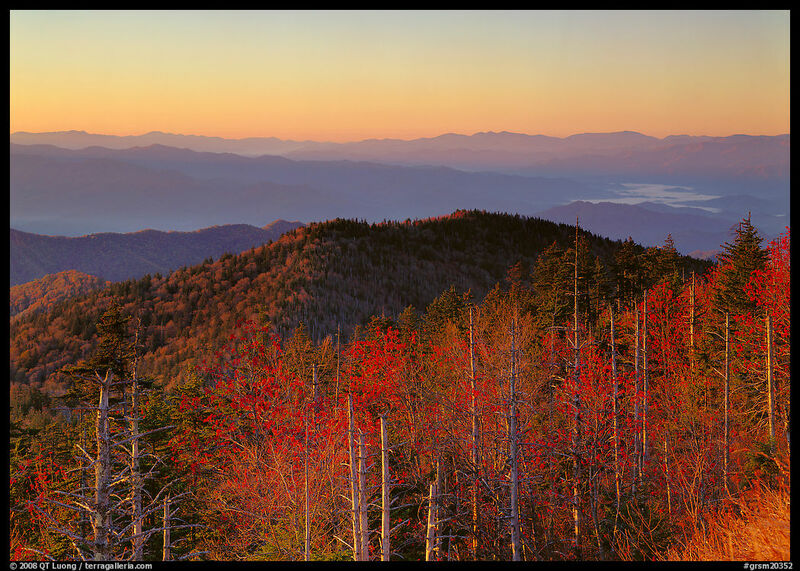 Great Smoky Mountains National Parks consistently ranks number one in visitation by a large margin, but is it really the most crowded park? 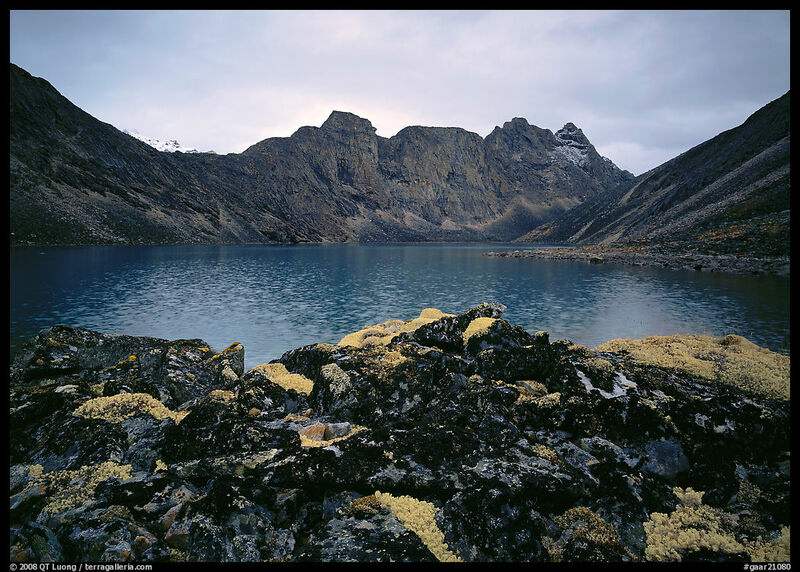 No matter which numbers you use, amongst the less crowded, you should expect to find the Alaskan parks, which are remote, vast, and not developped. 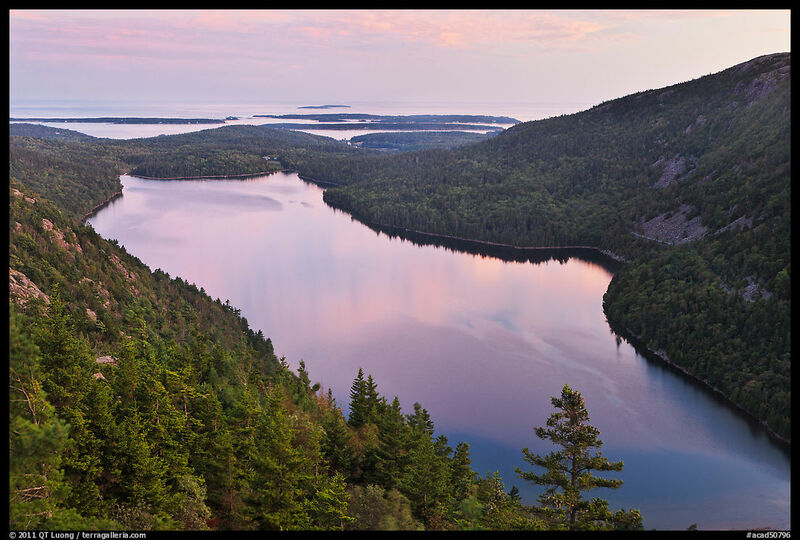 In the continental U.S., you should find the backcountry parks Isle Royale National Park, which has no road access and no roads, and North Cascades National Park, which except for a short unpaved road is explored by steep trails. Channel Islands National Park shares Isle Royale National Park’s characteristics, but the visitation numbers are very skewed by their inclusion of the visitor center, which is located mainland, whereas only one in ten of visitors make it to the islands themselves. For some of the other national parks, the number of visits doesn’t always correlate with my memories of how crowded the park was. To take the example of two parks very similar in terrain and access – paved roads only cover a small portion of each, Canyonlands National Park receives 579,000 visits and Capitol Reef National Park receives 783,000 visits. Yet Capitol Reef National Park always felt less crowded than Canyonlands National Park. Note also how parks such as Dry Tortugas, and Great Basin are in the bottom ten, below some Alaskan parks. The National Park Service offers other statistics than the number of recreation visits, which is the default option. They are seldom mentioned, but for our purpose one of them is more useful: the number of recreation hours. If two visitors spend respectively 1 hour and 10 hours in a park, you are 10 times more likely to run into the second one. Visits for both are 1, but recreation hours counts differentiate them. To continue with the previous example, Canyonlands National Park receives 4.3 million recreation hours (average 0.83 day per visit) while Capitol Reef National Park receives 1.3 million recreation hours (average 0.18 day per visit), because the configuration of the park is conductive of a quick drive to the end of the short scenic road and back. The average recreation hours of the last ten years for the top and bottom 15 are tabulated in the two last columns, with the numbers for visits in the first two columns for comparison in the table below. This is a move in the right direction, but note that Gateway Arch, which feels crowded like a city park, because it is one, is not even in the top 15, whereas the Alaskan and backcountry parks are still not consistently at the bottom. Wondering why despite comparable number of visits, people spend so much more time in Gates of the Arctic National Park than in Kobuk Valley National Park? Quite a few treat the former as the ultimate backpacking destination it is, while most visitors to the latter just fly to the dunes for a quick stroll. While recreation hours are a better indicator of crowds than recreation visits, they don’t take into account the size of the park, which is crucial because everything else being equal, if people are spread into a larger area, the place is less crowded. To continue in the Moab area, Arches National Park receives 4.6 million recreation hours, about the same as the 4.3 million of Canyonlands, yet everybody who has been to both will agree that Arches is more crowded. This is simply because Arches National Park streches 120 square miles, whereas Canyonlands National Park stretches 527 square miles, a surface area more than 4 times larger that dilutes the crowds. Using the crowd factor defined above produces drastic changes in rank. It is now clear that Gateway Arch and Hot Springs, by virtue of their tiny size and sizeable visitation are the most crowded parks, the former one by a whopping margin. The small Acadia, Bryce Canyon, Cuyahoga Valley, and Virgin Islands come next, and this is consistent with my experience. Amongst the sizeable parks (more than 100 square miles), Zion is the most crowded, while Yosemite is the most crowded of the large parks (more than 1,000 square miles). The Alaskan and backcountry parks are now all at the bottom, and the list confirms the opportunities for solitude at Death Valley. There is quite a bit to be learned from the NPS statistics, and this post has given you an idea of what can be done with their considered use. It has focused on the top and bottom 15, but the full data can be found on my parks data resource. Do you have any suggestions to improve this methodology? Meh…The crowd factor isn’t any more or less useful than the other metrics. For example, Everglades and Kenai Fjords are enormous parks, but they have tiny trail networks and attendance at both is seasonal (more so at Kenai Fjords), so the accessible areas of both parks are much more crowded than their “crowd factor” would indicate. Obviously, if you plan on doing some overnight canoeing or hike all the way up the Harding Icefield, you won’t see many people, but most visitors will probably experience at least some amount of crowding at both of those parks. Park A: 100k visitors; one parking lot; 5x trails from the parking lot, each extending beyond 5 miles = 4,000 visitors per accessible trail mile. Park B: 100k visitors; two parking lots; 1x 5+ mile trail from parking lot #1; 1x .5 mile “interpretive” loop at parking lot #2 = roughly 18,200 visitors per accessible trail mile. The strengths of this measure would be that it accounts for the places people are actually using in a park. In my experience once you get beyond 5 miles into a park, the amount of “crowding” significantly decreases. Some parks will have more people going deep into the wilderness than others (I’m thinking Sequoia and Yosemite in particular), but the proportion of overall guests hiking further than 10 miles round trip is so small that it becomes practically impossible to scientifically measure the “crowding” in the wilderness sections of a given park (unless you have someone sit around and manually count the number of people passing by). A weakness would be that you couldn’t really measure some parks this way. 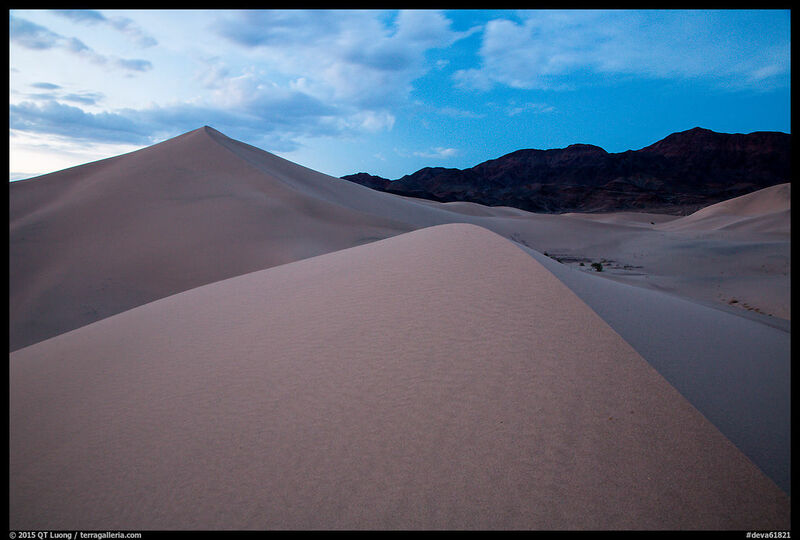 For example, most people at Great Sand Dunes aren’t using trails, they’re just wandering off into the dunes. Remote parks (like Lake Clark, Isle Royale) would have to be measured according to trail miles from air strips/major ferry docks, etc, but a small number of parks (like Kobuk Valley and Arctic Gates) don’t have a formal trail network at all. Fortunately, we can safely call these places “uncrowded” without doing any math. I don’t expect anyone to actually do this math. Personally, I really want to do it myself. I just don’t have the time…don’t expect anyone else does either. Thank you for the thoughtful comments. I agree with the limitations of the “crowd factor” in this post, and I will at some point provide a refined version using more data. However, your number of 5 trail miles overestimates the distance most park visitors will hike. Some sources claim that 90% of park visitors do not hike at all. Also, not all trails are equally popular. My friend Tom who lives in Yosemite says that if you exclude the 20 most popular trails, you will have avoided 99% of the park visitors. A single number can obviously not provide this kind of granularity. On the other hand, although it is only a rough average, I think the “crowd factor” is an improvement over the visitation number. I agree with the above idea. I live right near Rocky Mountain National Park (and have visited many other NPs) and while the park is quite large, probably 95% of the visitors are crowded at maybe a handful of locations (popular trail-heads and visitor centers). Driving through the park on a busy summer weekend is an absolute nightmare. But I think your method gives a much better sense of the relative “busyness” of the parks vs. pure visitation numbers.